Our Cartridge heaters are the highest quality available. These heaters are the result of many years experience perfecting high watt-density elements capable of long life at elevated temperatures. Early achievement by our design and manufacturing engineers met the challenge of high heat technology for industrial users and provided an excellent manufacturing base for all of our cartridge heaters. These heaters can provide continuous operation at sheath temperatures up to 1800°F as well as uniform, accurate heating in the lower temperature range. 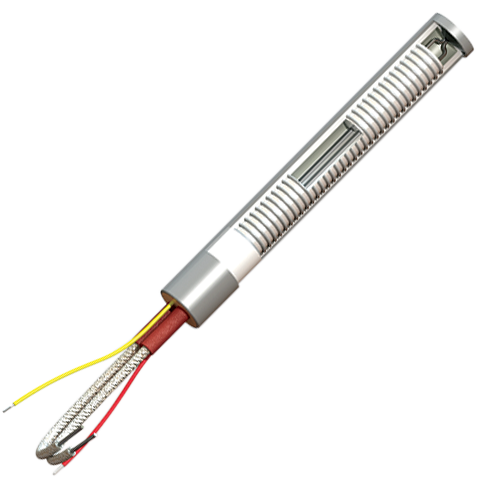 Multi-circuits: ¾” diameter cartridge heaters can be provided with independent heat zones thru multi-circuit or 3 phase resistance wire winding. These heaters permit uniform heat along the entire length of the heater where heat transfer rates must vary between specific heated areas. Consult us for minimum length requirements. 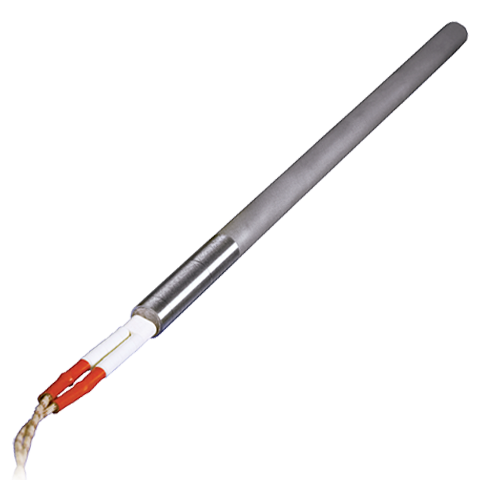 Profiled Heat: Cartridge heaters can be manufactured with a shaped profile heat distribution to balance out heat applied along the length of the heater. Thermostats: Various thermostats, meeting different sensitivities, can be incorporated into and made an integral part of our cartridge heaters to control or act as a safety monitor against excessive temperature. 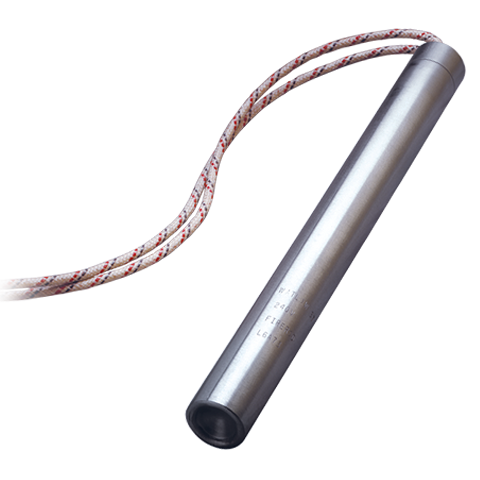 Proflex Wire: Cartridge heaters can be supplied with heavy duty stranded wire to prevent lead breakage due to flexing. It is available in most lead configurations. Other Accessories: Cartridge heaters can be supplied with grounded, twist-lock as well as UL-listed, dead front (hospital grade) electrical plugs. Post terminal and terminal boxes for protection of electrical connections are available. Metric size heaters: We manufacture metric dimension cartridge heaters for customers with this requirement. ​Proheat’s heaters are designed to meet various stringent requirements, including those of aerospace, military, nuclear regulatory and NASA, as well as city, county, and state codes. Heating elements are designed to meet codes and specifications of NEMA (National Electrical Manufacturers Association) unless otherwise specified by the customer. Components used in the manufacture of our cartridge heaters have been recognized by UL and CSA and comply with Factory Mutual (FM) regulations as required. The Watlow FIREROD® cartridge heater revolutionized the heating element industry in 1954 when it was patented as the first swaged cartridge heater. With premium materials and tight manufacturing controls, the FIREROD heater provides superior heat transfer, uniform temperatures, resistance to oxidation and corrosion and a long life even at high temperatures. The Watlow high-temperature FIREROD® cartridge heater utilizes the same industry leading design principles used on all of Watlow's FIREROD® products. It is especially designed for high-temperature platen applications up to 1600°F (871°C). The Watlow FIREROD® cartridge heater not only sets the industry standard for cartridge heaters but continues to make improvements in construction and design. Among the improvements made in construction and design of cartridge heaters is the FIREROD® metric cartridge heater, a variation of the FIREROD® cartridge heater built to meet the exact specifications of the global market. 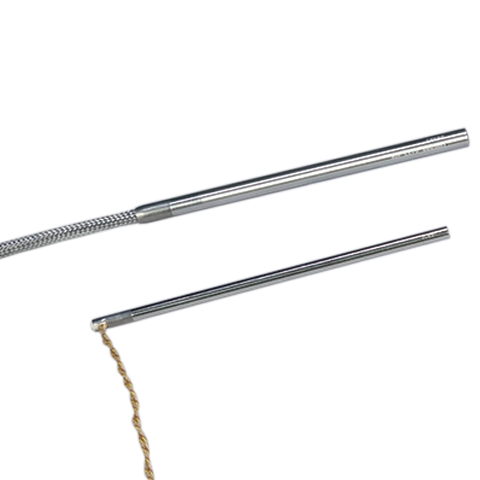 The Watlow FIREROD® not only set the industry standard for cartridge heaters, it continues to make improvements in construction and design. his miniature cartridge heater with swaged construction features high watt density, is capable of high operating temperature and provides long life in applications where it is essential to have a very small size.